Good morning. It's Thursday, July 12. • California is declared the capital of American dining. • Hollywood is hit by one of its most elaborate scams. • And nine perfect summer getaways from Los Angeles. Memelita at Oaxaca Restaurant, a Central Valley chain. "The Golden State is hands down the best place to eat in America." That's Eater, the food publication, in a new California dining guide. It credited the state's food dominance to amazing produce, a penchant for experimentation, and perhaps most crucially, ethnic diversity. "The state’s love of Mexican, Japanese, and Middle Eastern flavors ushers forth from the purest wellspring of culinary revelation: its longstanding immigrant communities," wrote the food critic Bill Addison. The assessment echoed that of Zagat, which not long ago declared that Los Angeles was now the nation's most exciting food city. But California's heart and soul, according to the columnist Gustavo Arellano, is the Central Valley. You'd expect food writers to have taken more notice of a region with so many Mexicans, he wrote — but not so. The author of a book on Mexican food, Arellano acknowledged that he himself had paid little attention to the agricultural heartland. He added, "I am now a convert. And I’ll say it: Only Los Angeles and Houston — maybe — have better Mexican food scenes than the Central Valley." 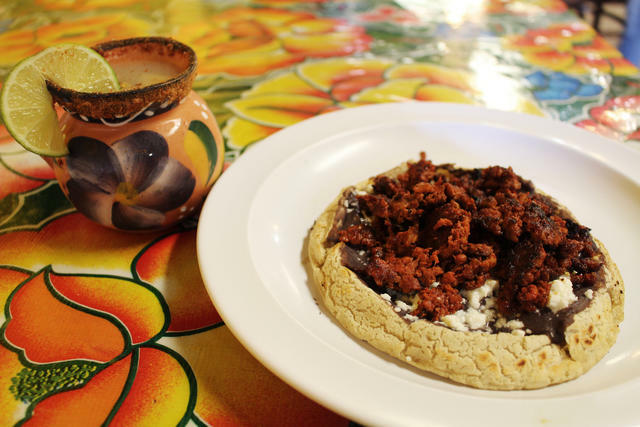 Read Arellano's column and the full Eater guide, including 38 "essential restaurants." 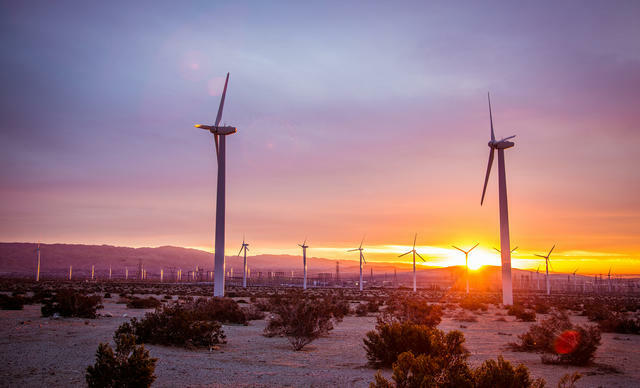 Wind turbines in Riverside County. California greenhouse gas emissions in 2016 fell below 1990 levels, hitting a self-imposed target for reductions four years ahead of schedule, officials said. Gov. Jerry Brown and other officials said the milestone proved that the state can fight climate change while still enjoying an economic boom. The University of California admitted a record number of Californians for fall 2018. The biggest beneficiaries were students transferring from community colleges, after a stepped-up effort to recruit more deeply across California. The system had faced a backlash after a sharp rise in the number of high-paying nonresident students. 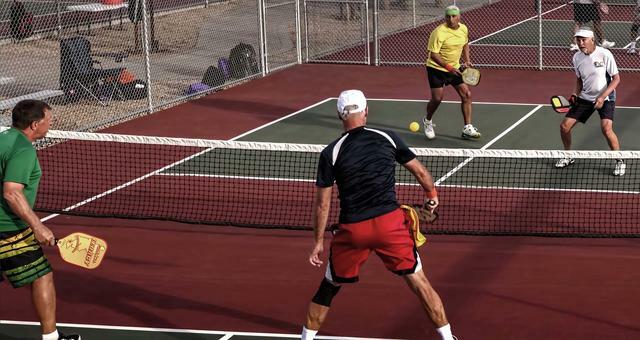 Pickleball is one of the country's fastest growing sports. "I would play every day, every hour, every minute if I could." The pickleball craze has been sweeping California. A mashup of pingpong, badminton, and tennis, the sport is especially popular among the retirement crowd. In Palm Springs, rising numbers of so-called picklers have led to clashes with the old guard of net sports: Tennis players. 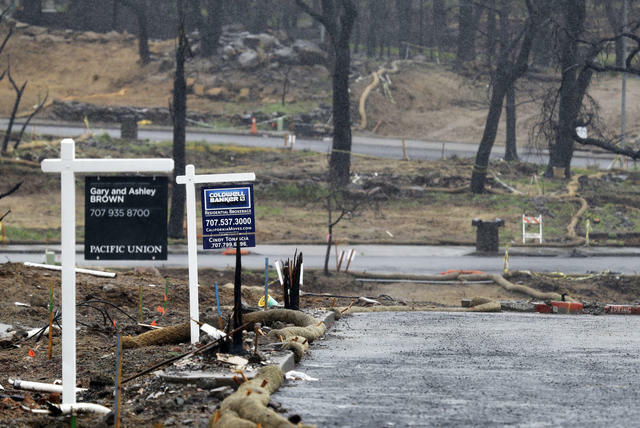 For-sale signs advertised properties in a fire-ravaged neighborhood of Santa Rosa in April. Sonoma County is beautiful. But officials and residents are starting to wonder if fire-prone areas are too dangerous to inhabit. Insurance companies seem to think so. In the six years starting in 2010, complaints about insurers raising rates or refusing to insure homes in high-wildfire-risk areas of California tripled. The industry's reasoning: “Fires now burn hotter." A beach near Santa Cruz is part of a county park. So why are nearby residents charging visitors $100 a year to access it? A lawyer for the residents said it's to protect the beach from overuse, including “raves and parties.” A Coastal Commission official explained it another way: “You’re using money to filter out people who are not local, who don’t live in multimillion-dollar homes right by the ocean." Mayor London Breed smiled at the crowd outside City Hall on Wednesday. Gabrielle Lurie/S.F. Chronicle, via A.P. 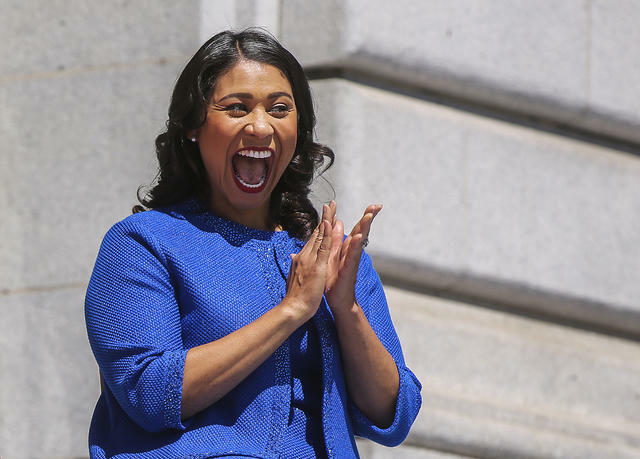 London Breed pledged to bring more housing to San Francisco after being sworn in before a crowd of thousands as the city's first black female mayor on Wednesday. Breed, who grew up in public housing, is taking the helm at a crucial juncture as the city grapples with homelessness, trash-strewn streets, and a severe home shortage. In 2016, the disappearance of two Sacramento-area teenagers baffled investigators. There were vigils and searches. It wasn't until last month that four young men were arrested and charged with murder. During a preliminary hearing on Wednesday, details emerged about a marijuana deal that spiraled out of control. "A place where 20 police officers receive matching tattoos is a place where there is a mentality of us-versus-them." The Los Angeles County Sheriff’s Department has struggled over the years to combat secretive cliques of deputies who have bonded over aggressive police work and branded themselves with matching tattoos. 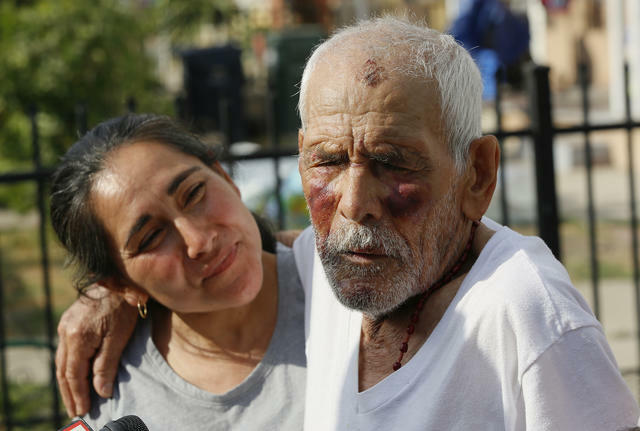 Rodolfo Rodriguez, right, with his daughter, Aurelia Rodriguez, thanked well-wishers in Los Angeles on Wednesday after he was assaulted. A U.S. Geological Survey geologist explained the amount of erosion facing the Southern California coast this century: “We place this in a context of dump truck loads. It would be 30 million dump trucks full of material that will be eroded from the cliffs.” The trucks would stretch around the globe multiple times, he said. It's one of the most elaborate scams to ever hit Hollywood. A woman has been bilking industry insiders by impersonating some of the most powerful women in entertainment. The thief's skill is stunning, investigators say. She learns everything about her targets, speaks with rapid-fire confidence, and betrays no hint of deception. The Hollywood Reporter obtained audio recordings. 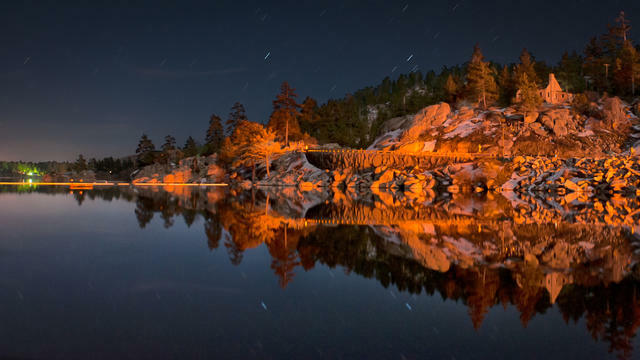 Big Bear Lake is Southern California's largest recreation lake. Big Bear is a staple destination for winter sports lovers. But some swear the summer is actually the better season to visit the getaway in the San Bernardino Mountains. You can ride a ski lift to a peak with breathtaking views, or rent a pontoon boat and float around the lake. That's why a magazine included Big Bear in its ranking of best summer getaways from Los Angeles. The world can thank California for the Popsicle. 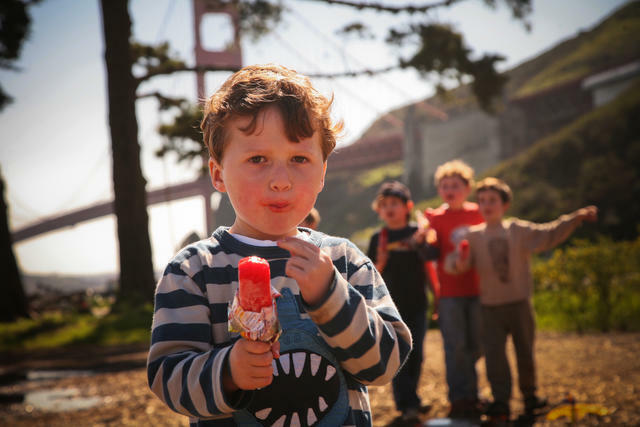 • The popsicle was accidentally invented by an 11-year-old boy in San Francisco. In 1905, Frank Epperson mixed some sugary soda powder with water and left it out overnight. In the morning, he discovered the mixture frozen from the nighttime cold. He grabbed hold of the wooden stirring stick and gave it a lick. He declared it the Epsicle, for Epperson and icicle, and began selling the invention around the neighborhood, and years later at an amusement park. In 1924, he took out a patent on his "frozen confection of attractive appearance." Bubble Gum Alley is tucked in the heart of downtown San Luis Obispo. 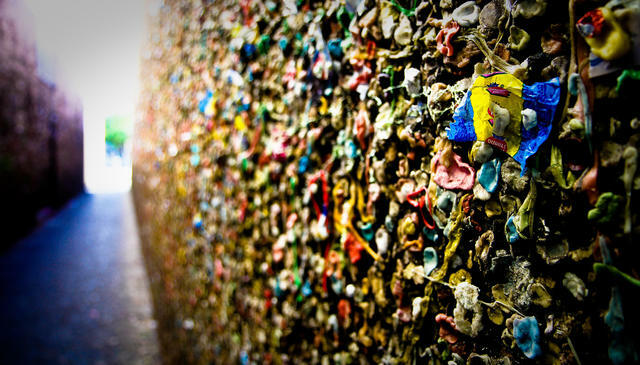 • One of the most popular tourist attractions in San Luis Obispo is a downtown alley with walls covered by half-chewed gum. Bubblegum Alley's origins are murky, but some historians say it evolved from a prank by students in the 1950s into a full-fledged landmark. Ronald Reagan at Eureka College in 1929. 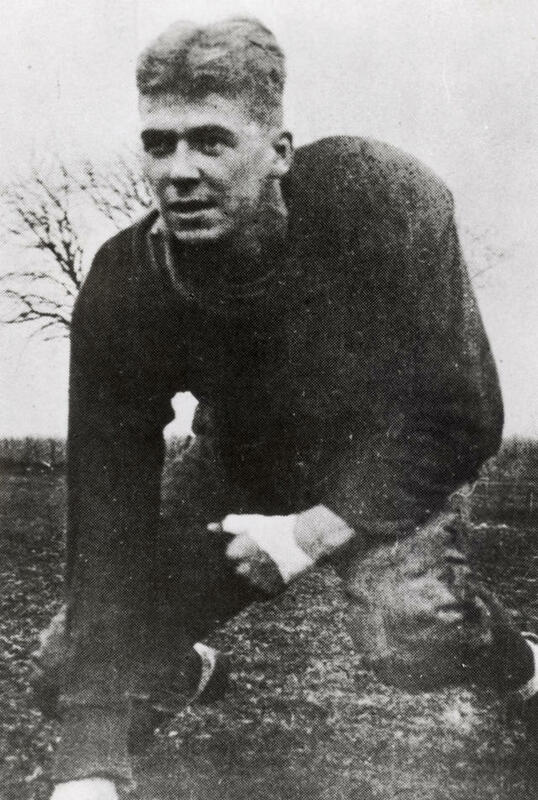 • Before his political rise in California, Ronald Reagan played football at a tiny college in rural Illinois. During an away game in 1931, two black players were refused admission to a hotel. Reagan took them to spend the night at his house. One of the men, William Franklin Burghardt, recalled in an interview with the Washington Post that Reagan told their coach, "'Why don't you give me cab fare, and I'll take these two guys home with me.' He only lived 10, 15 miles away. So that's what he did. I just don't think he was conscious of race at all."